Gata Kamsky defected to the United States in 1989 after a trip to the New York Open that year. Lev Alburt, who helped Gata defect, soon got a call from the Russian Grandmaster Genna Sosonko: "You got yourself a new World Champion!" Kamsky's potential to earn the ultimate crown nearly became actualized when he beat Kramnik in a match, qualifying him to play Karpov for the World Championship title. He was the first American since Fischer to go that far, and although he lost the match, he was still number three in the World. He then made a shocking announcement. Gata was leaving chess, to become a doctor- where he could earn more money. For five years Gata lived up to his promise and did not play a rated game. He earned an undergrad premed degree in chemistry, but then changed his mind and applied to law school. After graduating, Kamsky realized how much he missed chess. Egged on by friends and fans, he decided to give chess another try. "Now I feel much less pressure. I play for myself only." "I could make more money as an attorney," said Gata, "I came back to chess to try to win the World Championship." Kamsky does not regret his hiatus. "I learned so much about life in those six years," he said "Before, I knew so little about how the world works." His career restarted with a surprise appearance at the New York Masters. Thereafter, Gata revealed that he was preparing for top-flight competitive play. He had solid but unremarkable performances in his first few outings, and the first hint that Kamsky was really back was at the 2005 World Cup. He defeated one elite player after another (including former World Champion Alexander Khalifman), earning a spot in the next World Championship cycle. He had another astonishing performance in a super-grandmaster tournament in Sofia, May 2006 when he defeated Vishy Anand with the black pieces, and placed second in a star-studded field that included World Champion Veselin Topalov. In late 2007, Gata Kamsky made a serious step toward his primary goal. He won the World Cup (Khanty-Mansiysk, Nov.24-Dec.17), defeating Peter Svidler, Ruslan Ponomariov and Magnus Carlsen along the way to the final, where he faced Alexei Shirov. He defeated Alexei Shirov 2.5-1.5. Kamsky lost to Topalov in the 2008 match in Sofia, Bulgaria but he has not given up on his goals and is seeded into the 2010 Candidates Cycle. Read the CLO wrap-up by Macauley Peterson, Kamsky on Match: "Life Goes On." A very solid player and determined fighter, Gata does not lose too often, but he doesn't have the wild streak of a Nakamura or Shabalov that is particularly suited to rolling through American Swisses. Since his comeback, he's played a variety of openings. Most frequently played are the Kan Sicilian, the Slav, the black side of the Ruy and 1.e4. In 2010, for the first time in almost two decades, Gata Kamsky captured the US Chess Championship title. Gata beat the 2008 Champ Yury Shulman in a rapid Armageddon playoff to net the title and the $30,000 first prize check. The event was held at the Chess Club and Scholastic Center of Saint Louis, and you can see interviews with Gata, games and photos on the official site. Gata followed up his win with a convincing victory in 2011, good for the highest ever first prize in the Championship's history, $42,000. Gata also joined the likes of Bobby Fischer, Samuel Reshevsky, Walter Browne in a small group of players who won back to back titles. 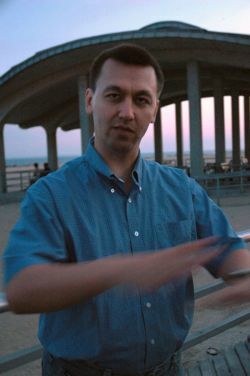 Kamsky won the 2013 and 2014 Championships in Saint Louis as well, and graciously commented in post-victory press conferences that he expected and hoped to see more members of the younger generation win future US Championship titles.